Ovarian cancer is the fifth most common cause of cancer death among U.S. women, with approximately 14,000 deaths per year.The USPSTF routinely makes recommendations about the effectiveness of preventive care services. USPSTF has issued its latest recommendation statement on screening for ovarian cancer which is an update from 2012. According to it screening for ovarian cancer in women without symptoms and who are not known to be at high risk is not recommended. The U.S. Preventive Services Task Force (USPSTF) recommends against screening for ovarian cancer in women without symptoms and who are not known to be at high risk (such as those who have certain hereditary cancer syndromes that increase the risk for ovarian cancer). The USPSTF recommendation statement follows a review of evidence on the benefits and harms of screening for ovarian cancer in asymptomatic women not known to be at high risk for ovarian cancer. 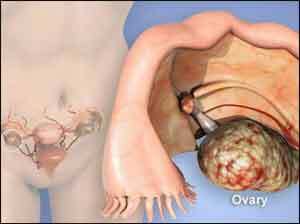 The USPSTF found adequate evidence that screening for ovarian cancer does not reduce ovarian cancer mortality. The USPSTF found adequate evidence that the harms from screening for ovarian cancer are at least moderate and may be substantial in some cases, and include unnecessary surgery for women who do not have cancer. Given the lack of mortality benefit of screening, and the moderate to substantial harms that could result from false-positive screening test results and subsequent surgery, the USPSTF concludes with moderate certainty that the harms of screening for ovarian cancer outweigh the benefit, and the net balance of the benefit and harms of screening is negative.